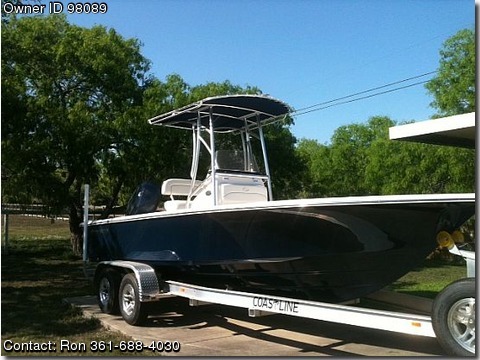 Please contact boat owner Ron at 361-688-4030 or 361- 991-1248. Almost new Sportsman 22' Boat With Yamaha 200hp 4stroke motor with aluminum dual axle trailer.T-Top ,VHS radio, GPS, AM/FM/CD Stereo - Loaded. about 12 hours on rig.